When it comes to optimizing an existing supply chain framework, organizations must clearly emphasize on the fulfillment services. Moreover, fulfillment service providers also play a vital role when it comes to handling and improving the shipping logistics. While certain organizations opt for in-house fulfillment services, some prefer outsourcing majority of their work to experienced service providers which can also handle the basics of distribution. While having a strategically situated fulfillment center comes in handy, fulfillment partners must also look to streamline and simplify the supply chain process. Moreover, an efficient service provider must also aim at improving the customer experience, across multiple channels. In the subsequent sections, we shall look at the topmost traits pertaining to a highly efficient fulfillment service provider while enlisting the most prior ones for improving productivity. Organizations must have high expectations from their fulfillment partners and the ability to address order management should be at the top of the pecking order. 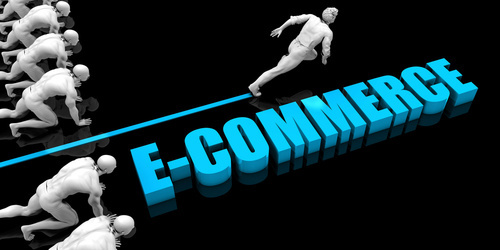 The e-commerce fulfillment service provider should be able to pair all of its attributes with innovative technologies. That said, efficient order management must cater to multiple channels while being able to handle the nooks and crannies of product demand and order placements. Every organization needs to be careful about the product inventory, spread across diverse marketing channels. Therefore, an efficient fulfillment partner must offer considerable levels of visibility for tracking real-time and continuous inventory-specific developments. This trait helps companies manage the supply chain in a better way. A functional fulfillment service provider must be able to report about e-commerce whereabouts in real-time. This, in turn, offers an expansive and detailed view of the inventory; thereby helping customers complete orders in a quick and seamless manner. Real-time reporting feature is probably the most underrated aspect of supply chain management and an efficient fulfillment service provider should bring the same to the fore. A fulfillment service provider should at least be able to complete the tasks associated with fulfillment in a precise and seamless manner. A service provider that can cope up with the promotional sales and seasonal demands can be easily considered as bankable. However, it’s all about pairing services with advanced technologies, in order to achieve fulfillment perfection. Needless to say, an efficient fulfillment partner can improve the visibility of the concerned brand by rendering back-end expertise and other intuitive ideas. A fulfillment partner with considerable levels of expertise can help a warehouse with the designing elements. There are times when a non-scalable warehouse starts busting out at the seams courtesy lack of spaces and necessary adjustments. Fulfillment service providers handle the internal affairs by making the warehouses more conducive to work. Customer relationships are important, especially when e-commerce services are concerned. 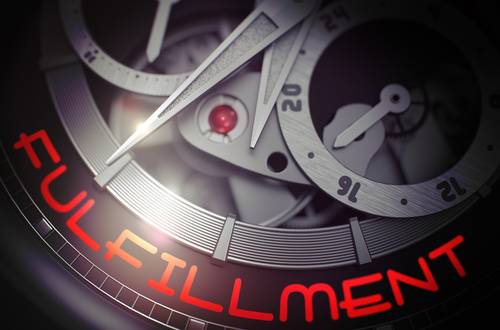 Fulfillment partners allow company owners to track the buyer journeys; therefore allowing them enough time and resources to personalize the service sets. This minimizes the number of complaints and helps improve productivity, almost immediately. Can we do without Outsourcing Fulfillment Services? Every fulfillment-specific requirement is usually handled by the 3PL service providers, as a part of an expansive package. However, small businesses usually do not have the financial backbone to invest in a third-party service provider and they usually resort to in-house options for addressing the requirements. If an unbiased consideration is taken into account, a fulfillment service provider with the above mentioned traits is necessary as the absence of the same can cause the sales volume to fluctuate and that too, regularly. Apart from that, companies without innovative fulfillment technologies are bound to experience order errors. In addition to that, an efficient fulfillment partner also eliminates the shipping, processing and product-specific errors. Companies without reliable 3PL services also lack scalability i.e. the ability to adapt and innovate according to the market sentiments. An efficient fulfillment partner renders scalability to the organizations by streamlining the processes related to packaging, inventory control and shipping. Let’s be honest about the fact that 2017 has been a pretty good year for e-commerce fulfillment. While businesses were pleasantly surprised by the innovation and speed of technological implementations, several startups benefited from these changes. However, it would only be appropriate to take a look at 2018 and what expectations the entire supply chain industry can have from the same. The current year started on a few positive notes and it wouldn’t be wrong to be optimistic regarding the upcoming trends. Moreover, we should take a note of the fact that ecommerce fulfillment trends do not change every year but extrapolate with each passing day. This means, it wouldn’t be advisable to look only at 2018 but to concentrate on a more expansive analysis. It wouldn’t be wrong to say that trends also signify the lingering challenges associated with ecommerce fulfillment. Majority of these challenges are inventory and warehouse specific loopholes, ably assisted by a host of other micro effects. Ecommerce fulfillment, therefore, specifically focuses on the aspects of shipping and product deliveries while offering the best possible combinations to the customers. Ecommerce fulfillment has already started spreading out in multiple directions. The Omnichannel visibility combines the likes of drop shipping, warehousing and other necessary avenues. In addition to that, majority of fulfillment service providers are pairing up with 3PL companies for creating an elite network of clients. What sounds optimistic is that fulfillment partners are increasingly establishing accountability for every supply chain metric. Be it covering the shipping damages, packaging essentials or the last mile considerations; fulfillment partners in 2018 are concentrating on the holistic aspects of supply chain management. Those who are expecting the shipping costs to cap out are certainly in for a disappointment. While fulfillment service providers will start looking into the basics of retailing and packaging, the shipping costs in 2018 are expected to shoot up. The customer satisfaction levels, therefore, won’t be compromised on. Although the sky high prices won’t cease from existing, the concerned warehouses will start getting makeovers they deserve. Majority of fulfillment partners and retailers will start readdressing their warehouses in 2018 for necessary improvements. The emphasis will therefore be on eliminating the inadequacies and identifying the key areas for improving the existing frameworks. Moreover, it’s only fitting that fulfillment centers keep checking the size and spread of the warehouses for accommodating bulky materials. Getting up close and personal with a brand will be easier in 2018 as fulfillment partners will do majority of the work. With online shoppers getting a cohesive platform for comparing prices, delivery rates and discount codes— customers will be getting all the advantages. Brands will start paying heed to customer sentiments and the shipping strategies will be way more user-friendly as compared to the existing ones. The best thing which fulfillment partners are expected to achieve in 2018 is higher degrees of personalization. This concept will include better at-home deliveries and even higher levels of packaging. This variable is likely to get squeezed between other fulfillment metrics. While the requirements are amplifying at an alarming rate, there is definitely a lack of skilled labor. Although companies are setting up warehouses with scalable automation at the fore, the pressure for procuring skilled labor is intensifying with each passing day. While shipping and packaging are some of the important facets leading towards product fulfillment, it’s actually the delivery options that determine the efficacy of the last mile solutions. In 2018, fulfillment partners will start focusing more rural deliveries and innovations concerning in-home deliveries. Newer techniques for delivering products will start showing up in 2018 with the focus being on customer satisfaction and readiness. While the concept of nominated deliveries is fast catching up, it needs to improve further in order to make some more sense. Majority of retailers with dedicated fulfillment services are slowly but steadily concentrating on delayed shipping options for allowing the customer to save money. E-commerce fulfillment solutions will keep evolving with time. However, 2018 is only a stepping stone for the service providers to achieve fulfillment perfection. Customers must understand that prices might go up in certain cases but the overall satisfaction levels will keep improving. No business likes their products to be returned. However, it is a reality that every business, whether online or offline, must deal with. There may be nothing wrong with your product yet a few customers would want to return it for various reasons and get a refund. You should note that there’s nothing wrong with getting a few returns. No product is meant for all customers. In fact, you should anticipate a few returns and be well prepared in advance to handle them. A ready and smooth return process will not only make your job easier, it will also increase your brand image in customer’s mind. Let’s look at few things that will make it easier for you handle the returns. Well defined return Policy: Since you anticipate returns, you must be define your return policy for customers, have it clearly displayed on your website and make sure that you customers understand it. Make sure it is visible to customers while they are making the purchase (may be via a link). The package of your shipment should contain printed return policy along with any other documentation for the product. If they want to read it online, it should be easily accessible on your website. The language of the policy should be easy to read and understand. It is important that customers understand clearly, that when your return policy says 60 days from date of purchase it does not mean 60 days from date of receipt of product. Similarly, other requirements for returns must be in such a language that customer understands it in first reading. Especially for refund, ensure that your policy for refund amount, refund mode and time of refund is clearly mentioned. After ‘where do I return this’, the second question that the customer will ask is ‘My money?’ This will reduce the hassle for you later in the process. You can use your return policy as a marketing tool as well. If you are offering free returns, make sure you highlight it. If you are offering any coupons or incentives or returns within specific period, ensure that these are highlighted. If you are asking for a reason to return, ensure that reason is well understood by your team and complimentary product if offered to the customer. Return Process: Make the return process easy for the customer. Include a postage paid return envelope or a return label with the product, if applicable. Hopefully not many people will use it, but most of them would give you the credit for giving them this option. Include a small note saying something such as if they are not 100% satisfied with the product, they can use the enclosed return label to return the product. Customers like these small gestures. If there are any forms that they need to filled in, Pre-fill the obvious sections (customer details and product details) for them, so that it is easy for them to fill just the relevant information such as reason for return quickly. Since they don’t need to spend any time filling mundane details, they may spend that time to fill in detailed feedback in the form. If you are not providing the return label, make sure that return address is clearly indicated in the documentation (bill, invoice etc.) at the delivery, your website and any other touch point where customer might look for it (if you have a mobile app, include the section for returns with these details). Provide a phone number, if possible a free phone number, for customers to contact, if they have any query about their returns. Engage with the customer: Remember, a customer is returning your product because he is not satisfied with it. This is a great opportunity to engage with the customer and get his feedback. Why did your product fail to meet his requirement? What could have been improved to provide him a better experience. Is he considering any other product? Make sure you thank him for the opportunity to serve him and hope to meet his expectations next time. The whole communication should show that you are interested in meeting his expectation with the product, and not just return the money and close the chapter. Engagingly positively over returns, with the customer will help to enhance your brand image. Returns are a tricky business. Nobody likes them. They are not only lost revenue, but they add to the processing overheads. Yet, they are essential part of the business that cannot be done away it. Instead of looking at them as necessary evil, you can use them as an opportunity to build your brand and improve your product.